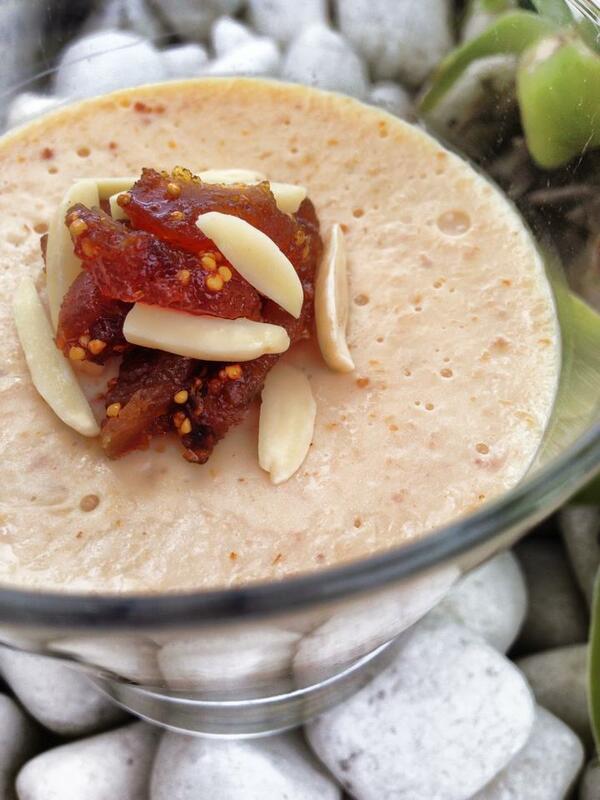 I first tasted ‘Mahalabiya’, milk Pudding with dried figs in Istanbul a few years ago and loved it. 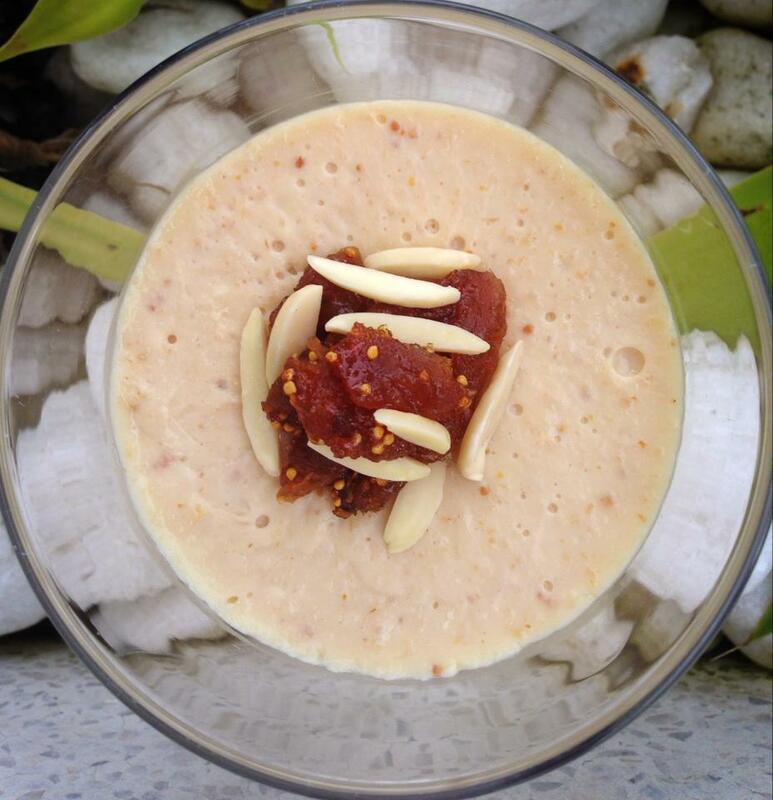 Even though for years I have been making various recipes for Middle Eastern milk puddings, I had never tasted a dried fig flavoured milk pudding prior to this trip. ‘Mahalbiya’ is traditionally a milk pudding using either rice, powdered rice, fine semolina or just corn flour to thicken the milk. Some recipes I absolutely love served warm and others well chilled. Usually a sweet syrup is served on the side to sweeten the pudding to taste. They are normally garnished with either powdered cinnamon or crushed pistachios. 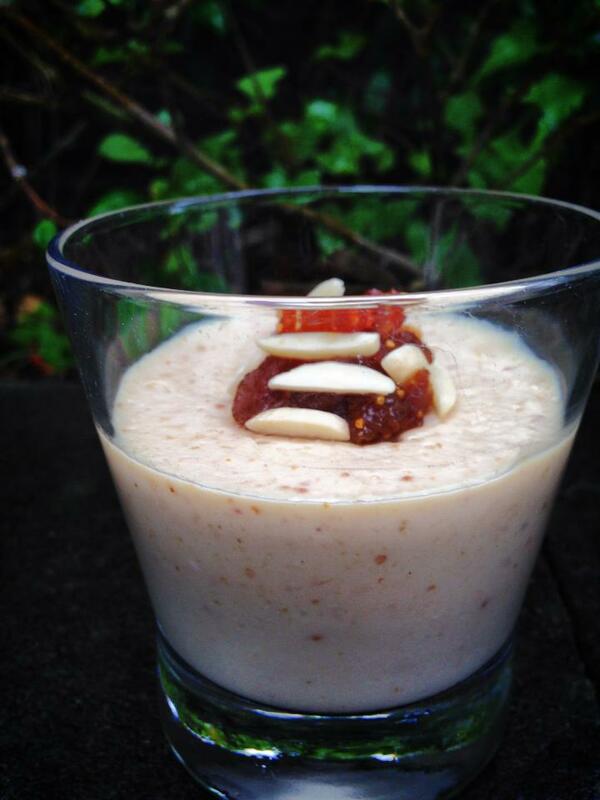 To create this recipe I relied on my basic recipe for a milk pudding and improvised a bit. I have to admit that the waiter at the sweets shop in Istanbul was so lovely and told me that it is so easy to make and explained what I needed to do with the figs. So thanks to him, I got it right on my first attempt and I was so happy with the end result. It is best consumed chilled. For a vegan option use almond milk. Dice figs and bring to boil in 1.5 cups of water, then simmer. Remove 2 table-spoons out for garnish after about 20 minutes and set aside, then slice later into thin strips for decoration. Continue to simmer the rest of the figs for another 10 minutes until they are tender. Make sure there is still enough liquid, so add water if necessary but not much. Blend in blender until smooth and puréed. In the mean time in a separate large pot, add milk, sugar and turn heat on, after a few minutes when milk is hot turn heat off. Add puréed figs and vanilla essence. Use a hand electrical mixer to blend together. Dilute corn starch in 1/2 cup cold water, then add to milk mixture. Turn the heat on low, stir well continuously with a wooden spoon, taking care that the mixture does not reach boiling point. Keep stirring until the mixture thickens enough so if you lift the wooden spoon it falls slowly. This will take about 10 to 15 minutes. 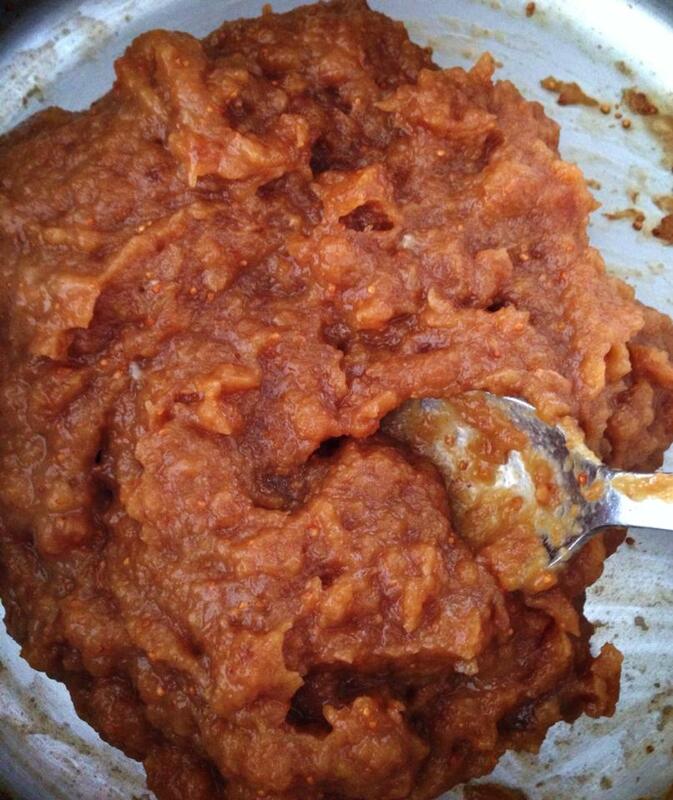 Remember that the mixture will become more thick once cold, so you don’t want it too thick. Use a ladle to pour mixture into 6 individual bowls or glasses. Put in refrigerator. To speed up the chilling process you can place in the freezer for about 30 minutes or so then move to fridge. It keeps well in the fridge for two to three days and it can be prepared the day before. 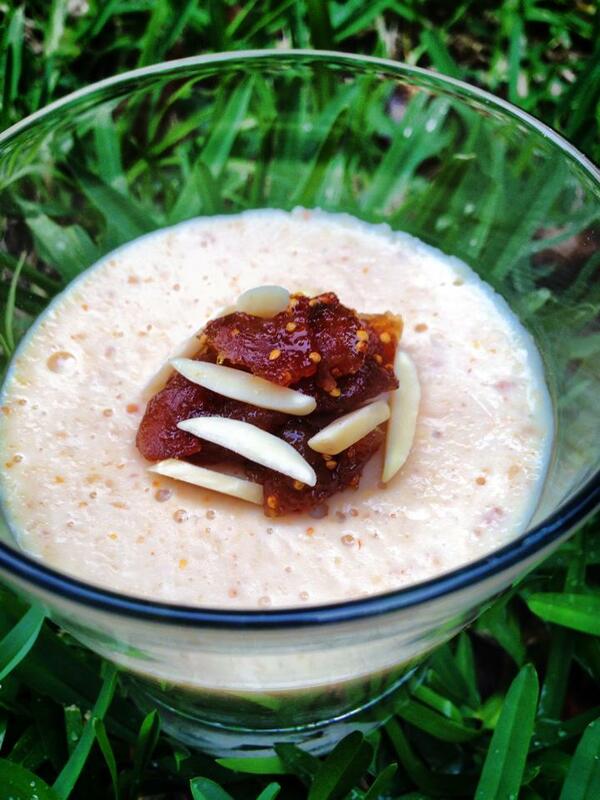 Serve chilled and decorated with the extra figs and slivered almonds. Tags: cleaneating, dessert, diet, figs, food, glutenfree, healthy, inspiration, recipes, vegan, vegetarian. Bookmark the permalink.